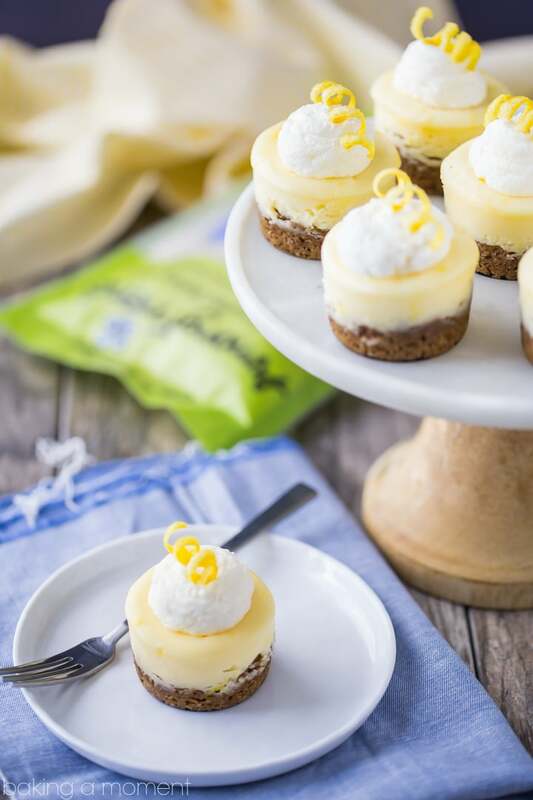 These Mini Lemon Cheesecakes are just perfect for a party! The filling is rich, creamy, and full of bright lemon flavor, and the soft and chewy molasses ginger cookie crust is a great compliment. Your guests will love these individual gluten-free desserts! This is a sponsored post, written by me, and created in partnership with Among Friends baking mixes. All opinions expressed herein are straight from my heart. Hey everybody! Things are real busy this week with family and holiday stuff, but I just wanted to pop in quick to share this cute recipe idea that I think would be so perfect for entertaining! 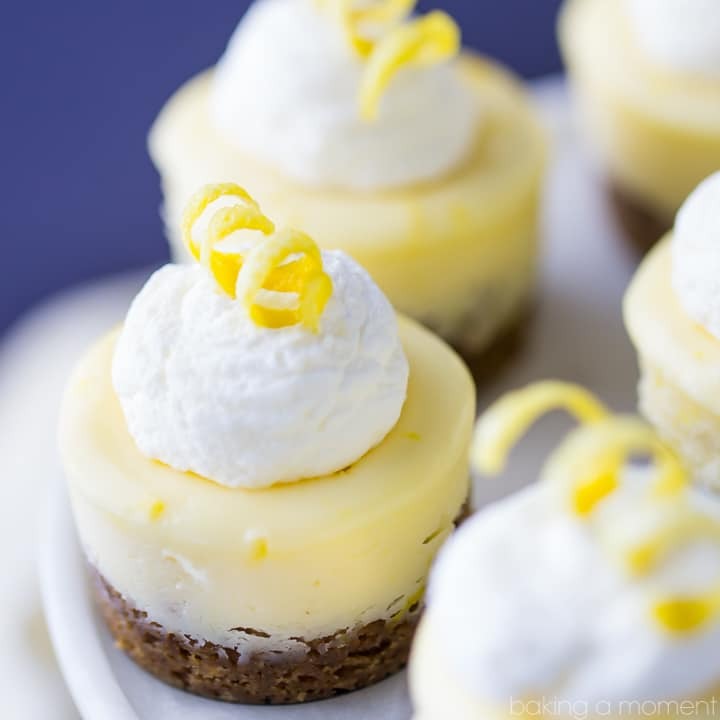 I love these little lemon cheesecakes for this time of year, because the ginger and molasses cookie crust just feels so “holiday” to me. But honestly I really think they could work all year ’round, because that lemon-y filling is so bright and fresh! I used Among Friends’ Shane’s Molasses Ginger Cookie Mix for the crust. This baking mix is made with whole grains, with no gums or fillers, and is totally gluten-free! It’s got a great soft, slightly chewy texture, and I loved the nutty bite from the oat flour. It’s a perfect base for this creamy, citrus-y New York cheesecake filling! One bag of Among Friends cookie mix yields about 2 dozen cookies, so if you don’t have 2 mini cheesecake pans, you can do like I did and halve the filling recipe, then just make an additional dozen cookies. Or, you could double the filling and do one big cheesecake. I’m including instructions for that in the recipe card below. I just love these little cuties with a dollop of whipped cream and their little corkscrew curl of lemon zest! You can use a zesting tool like this to get about a 2 or 3 inch long piece of lemon rind, then wind it tightly around a bamboo skewer to get that shape. So fun! Among Friends has tons of different baking mixes that taste great and are made from wholesome ingredients. You can check ’em out here, and be sure to follow along on Facebook, Instagram, Pinterest, and Twitter. If you know (or are!) a cheesecake lover, be sure to have a look at all the different cheesecake recipes I have here on Baking a Moment! There are lots of choices, to please every palate. Have a great weekend! Preheat the oven to 300 degrees F, and lightly mist 2 mini cheesecake pans with non-stick spray. Place all the crust ingredients in a mixing bowl and mix on medium-low speed until combined. Roll into 1-inch balls, and press into the wells of the pans. Place the cream cheese, sugar, and cornstarch in a large mixing bowl, and beat on medium speed (using the paddle attachment), until smooth. Stir in the cream, lemon juice, zest, and salt. Divide the mixture equally between the wells of the pan. Bake for 22-25 minutes, or until set around the edges, but still a little jiggly in the center. Place the cream in a medium mixing bowl and whip until soft peaks form. Slowly add the sugar and continue to whip until the mixture holds stiff peaks. Place a dollop of whipped cream on each mini-cheesecake, and top with a curl of lemon zest. Note: To make one big cheesecake, double the filling and use a well-greased 8-inch diameter x 3-inch deep cake pan, lined with a circle of parchment. Place it in a larger pan filled with hot water. Bake for 20 minutes at 350 degrees, then turn the oven temp down to 250 and bake for an additional 60-70 minutes. It should be set around the edges, but still a little jiggly in the center. Let it cool in the oven, holding the door ajar with the handle of a wooden spoon, then chill in the fridge overnight. Use a hot towel to loosen it from the pan, then flip it out and invert onto a serving plate. Allie, these are gorgeous!!! I love the mini desserts! and love that Molasses Ginger Cookie Crust!!! I love that you used a cookie mix! Perfect for the holidays when things are crazy and there’s no time! I love these! These look SO unbelievably yummy! They’re adorable too. And that crust! What a great complement to the lemon. Awesome job, I’m excited to make these! Thank you so much Roxana! We really loved the combination. Hope you do too! Beautiful pictures! And the mini cheesecakes look divine! Yummy! 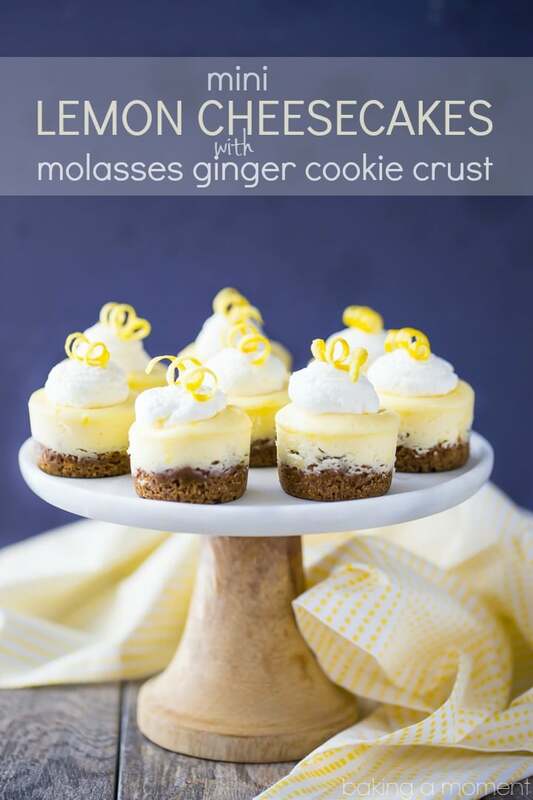 I love cheesecake and this lemon-ginger combo sounds super delicious! I do too Mel and this flavor combo was definitely a winner! So glad you like them- thank you for the sweet comment! This is the most beautiful cheesecake ever!!! I’m in love! Aw you are too sweet Joc! Thank you so much my boo boo. These are so beautiful!! Lemon and ginger is such a great combination, these would disappear in seconds here! I love anything with a ginger cookie crust! These cheesecakes are just darling Allie!! Thank you so much Ashley! The crust was definitely the star of the show 🙂 Hope you’re enjoying the season sweetie! Oh yum! I can’t wait to try these sometime. PInned for later. Thank you so much! I hope you get a chance to give them a try. And thanks for sharing on Pinterest! Mini sized treats are the best because you don’t feel as guilty eating a few :). Yum! These look so adorable and I love the flavor combination! Thank you so much Sabrina! It’s definitely a top favorite for me as well 🙂 Happy Friday! Thanks Francine! I hope you enjoy! 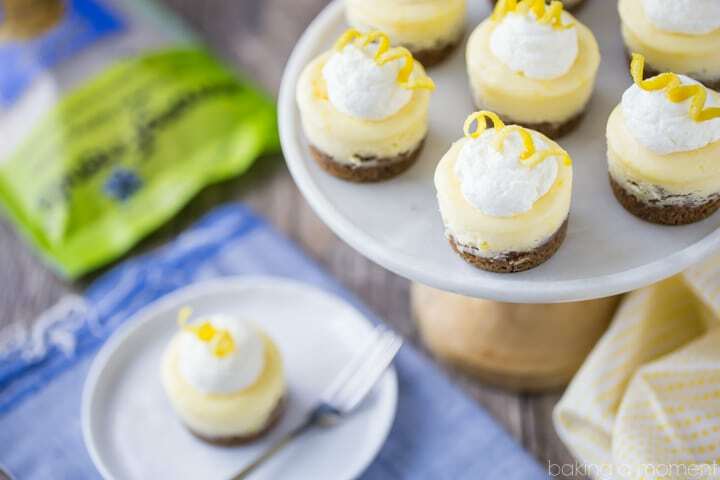 These mini cheesecakes are the perfect dessert! Because they’re bite-sized, there’s no guilt when eating them, either. Lemon and ginger make a great flavor combination, as well. Thanks Gwen! Yep, I pretty much like to think that anything bite-sized is calorie free 😉 Happy New Year! Great idea Laura! I hope your hubby enjoys! You could also try using this recipe for the crust- it’s super ginger-y and I LOVE it! 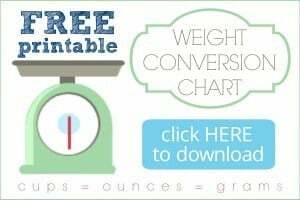 HI Laura, here is our store locator, http://amongfriendsbakingmixes.com/store-locator/ – we are sold nationwide as well as online and would love you to give us a try! Is there a substitution method of some sort for the crust that doesn’t require the ginger bread mix? Is there some ratio of crushed ginger snaps and butter that would work? I typically use about 3 tablespoons of butter for every 10-ish cookies. You just want the mixture to hold its shape when pressed. Hope that’s helpful! Great flavor combination. Sounds strange but it actually makes me think of gingerbread with lemon sauce! Woohoo! These are lemony. Otherwise they turned out well. They sunk quite a bit in the middle, but taste pretty good. I’ll probably add less lemon next time. Thanks so much for the feedback Jess!